SEOUL -- LGU+, a third mobile carrier, signed a deal to acquire a controlling stake in a top cable channel operator, vowing to become a major player in South Korea's pay-TV market which has been rattled by the expansion of influence by Netflix, the world's largest over-the-top (OTT) company. LGU+ agreed to acquire a 50 percent plus one share stake in CJ Hello from CJ E&M, a key distributor and exporter of Hallyu (Korean cultural wave) in Asia. CJ Hello with 4.13 million subscribers controls 13.02 percent of the paid TV market, compared to LGU+'s 11.4 percent. The deal came after South Korea began operating commercialized 5G mobile networks for the first time in the world in December 2018. Currently, 5G networks are used for businesses such as transferring data and controlling machines in smart factories, but services for smartphone users will come in March. Experts predict the 5G era will bring a dramatic change to daily life. Technology and telecom companies are trying hard to apply 5G technologies to connected car technologies, autonomous driving, the development of virtual reality content and other sectors. If the deal worth from 800 billion won ($711 million) wins state approval, LGU+ would become the country's second-largest player in the pay-TV market with a total of 7.9 million subscribers after South Korea's top telecom company, KT, which has 9.97 million subscribers. "We will lead the convergence of broadcasting and telecommunication through the acquisition of CJ Hello and plan to lead the 5G era by accelerating service competition in the stagnant broadcasting communication market," LGU+ CFO Lee Hyuk-ju said in a statement. CJ Hello will be run as a separate entity, Lee said, describing the deal as "the first button for the qualitative growth". LGU+ vowed to provide diversified services and various 5G content using augmented reality, virtual reality and Internet of Things. SK Telecom (SKT) and KT are also trying to buy small companies, insisting they should compete with global firms like Netflix. 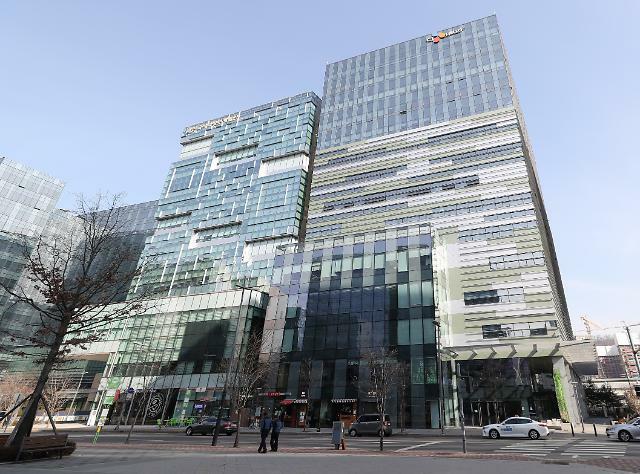 SKT had offered to buy CJ Hello in 2016, but anti-trust regulators rejected the bid, citing concerns about monopoly. CJ E&M said that money from the deal would be used to expand its content business and digital commerce. In January, the entertainment and mass media company expressed its interest in a strategic partnership with Dexter Studios, one of Asia's leading media content producers, to strengthen the capacity of contents production such as dramas and films.